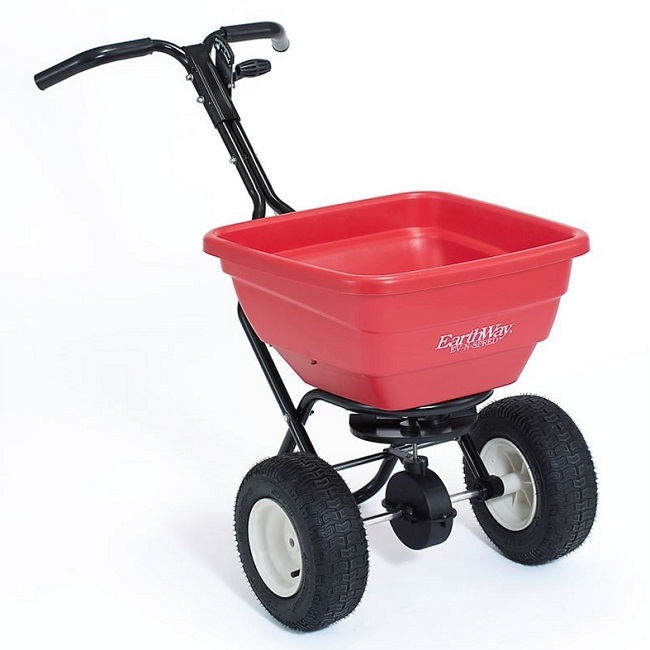 The EarthWay EV-N-SPRED Flex Select Series are specifically engineered for extremely accurate application, easy operation and a long life time. 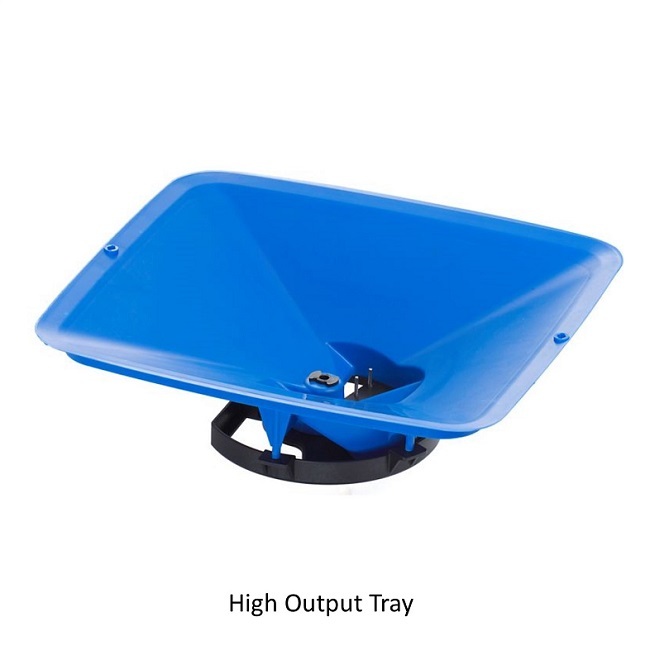 The spreader features a heavy duty, highly manoeuvrable design and is suitable to apply all types of materials. 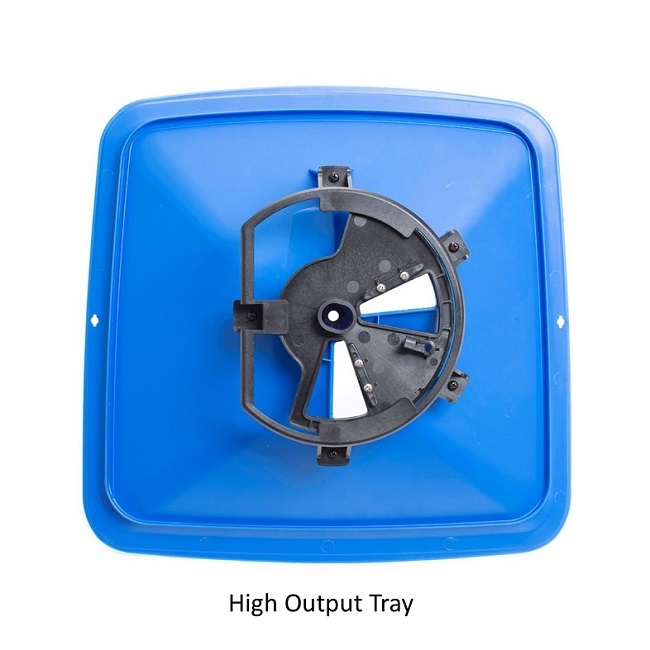 Comes as standard with a High Output Tray – The High Output tray features a new, exclusive oscillating agitator which is integrated into the shut off system and this improves the flow of difficult materials. 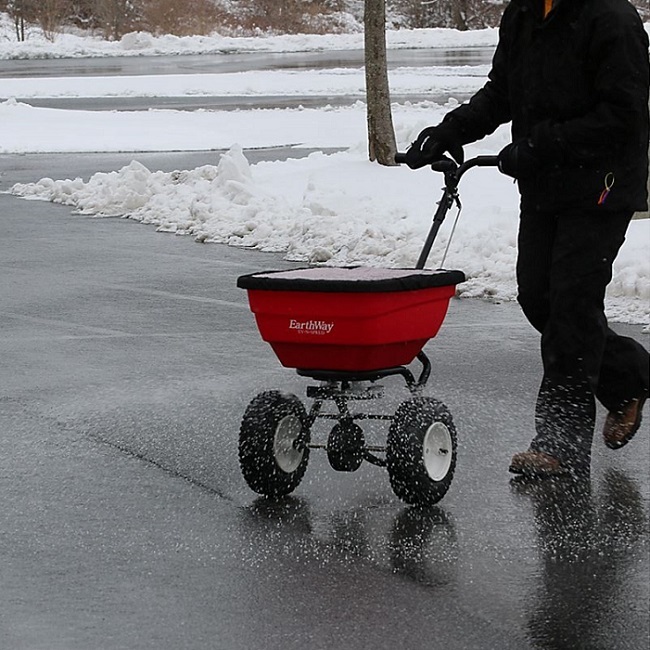 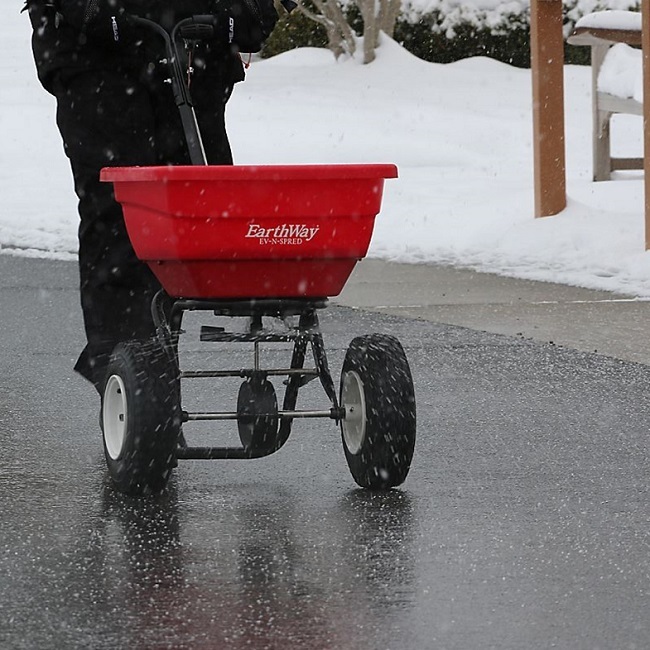 It is specifically designed for the application of larger granular materials such as rock salt and white de-icing salt. 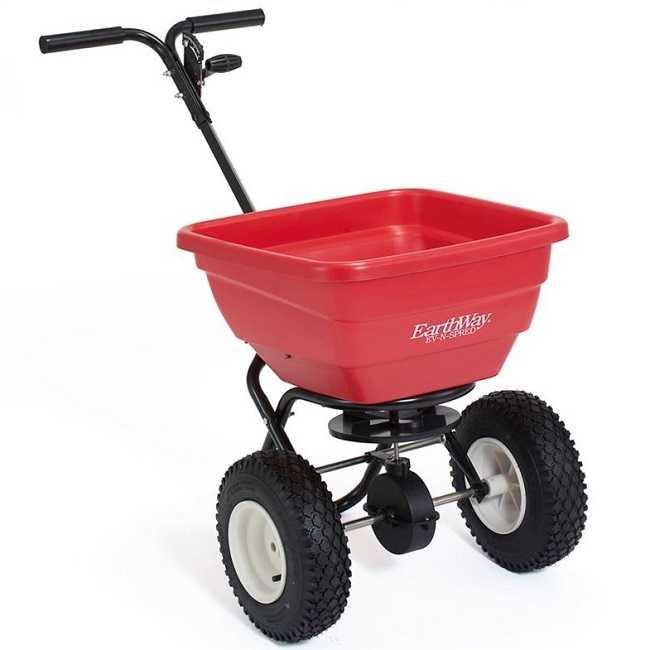 The professional chassis both feature cow horn handles and a twin-tube design which makes the frame more sturdy and professional. 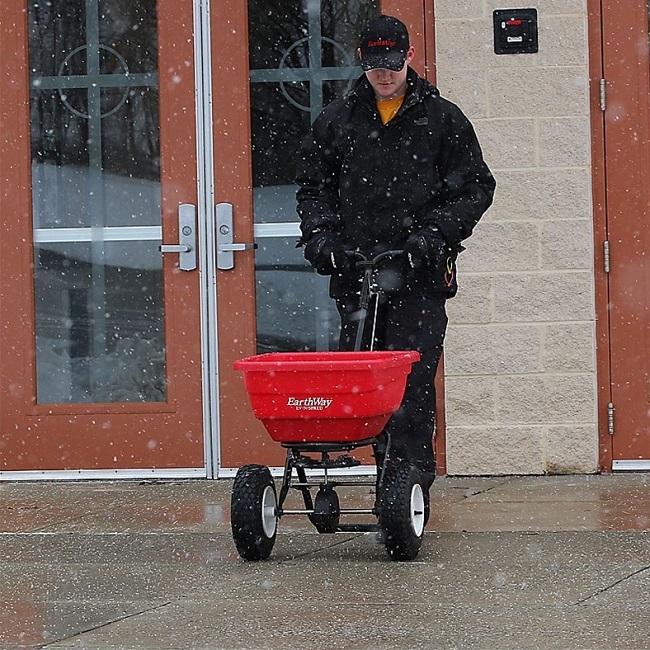 The two commercial chassis feature a single-tube design and standard handles. 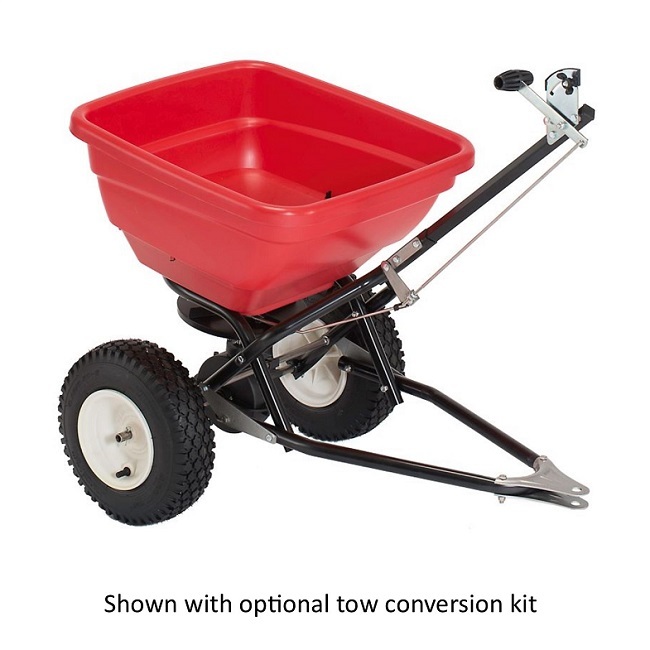 The Flex Select can also be converted into a towable unit with the simple addition of the Flex Select Tow Accessory. 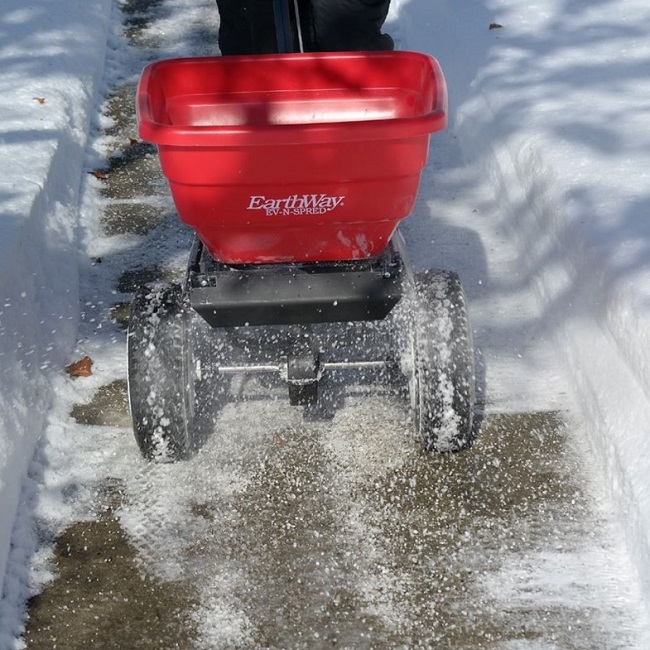 The tow kit enables the spreader to be both pulled and pushed and it takes only a few minutes to convert from one to the other. 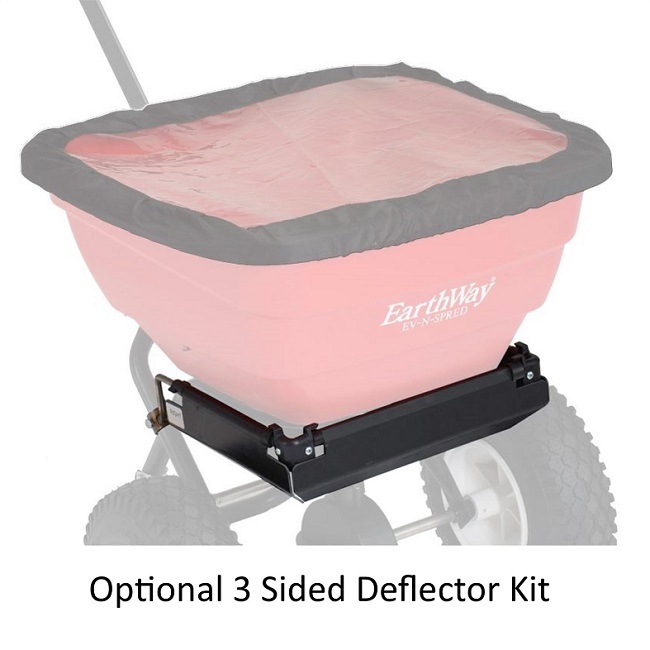 An optional 3-sided deflector kit and a rain cover are also available.